I saw him coming out of his office on Tuesday 22 January. “Fr. 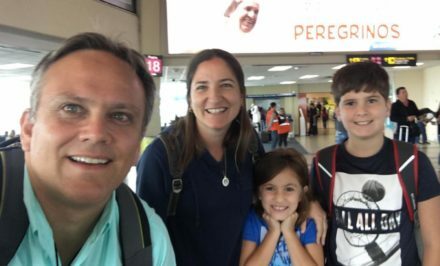 Rómulo, did you ever imagine you would host the entire international Schoenstatt youth at the World Youth Day in Panama?” — No, he said, not at all… – just like I never imagined I would be the liturgy director and the WYD coordinator. 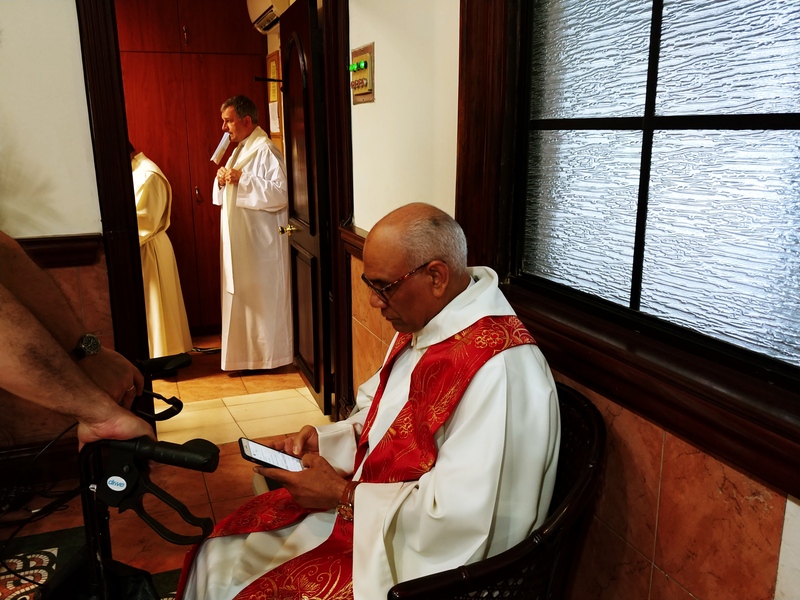 “How could I have imagined that they would appoint me as the coordinator for all of the preparatory work for this WYD?” he said. 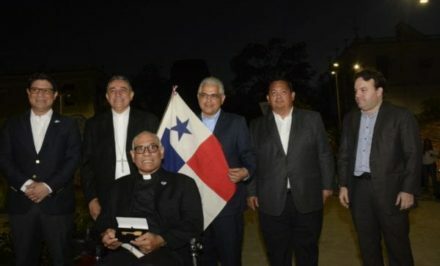 “I have had to give reports to the Pope and I will have to say a few words at the end of the Holy Father’s visit, thanking him for having chosen Panama for the WYD,” he added with his characteristic smile. 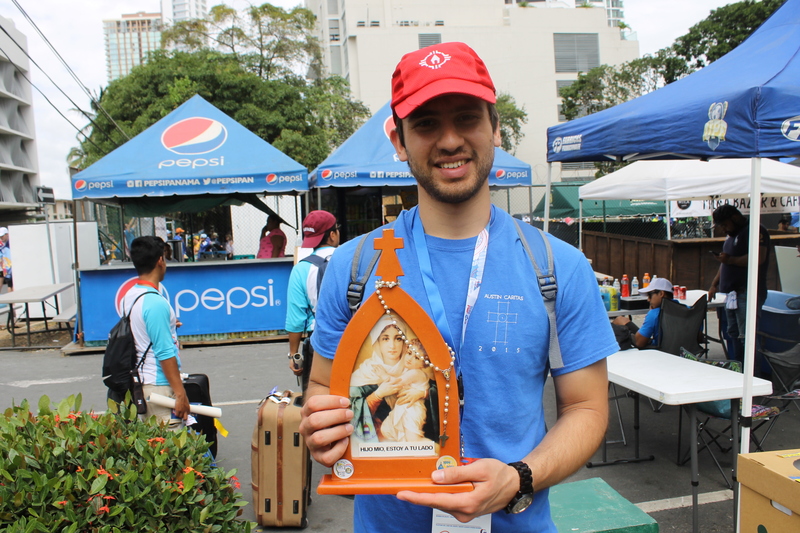 The shrine in Costa Rica was blessed “just in time” to receive 600 Schoenstatt youth at the international meetings before WYD; a small wayside shine in the San Francisco de Caleta was blessed “just in time” to receive the Schoenstatt youth staying at a nearby college and many others; the pilgrims registered and received their WYD packs in front of the wayside shrine and since 23 January, many more have come to the catechesis and the spiritual centre manned by the Schoenstatt Movement. 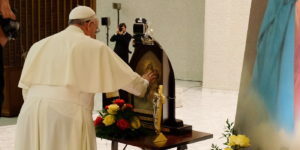 The joy of seeing young people encounter the Blessed Mother in this wayside shrine is incredible. 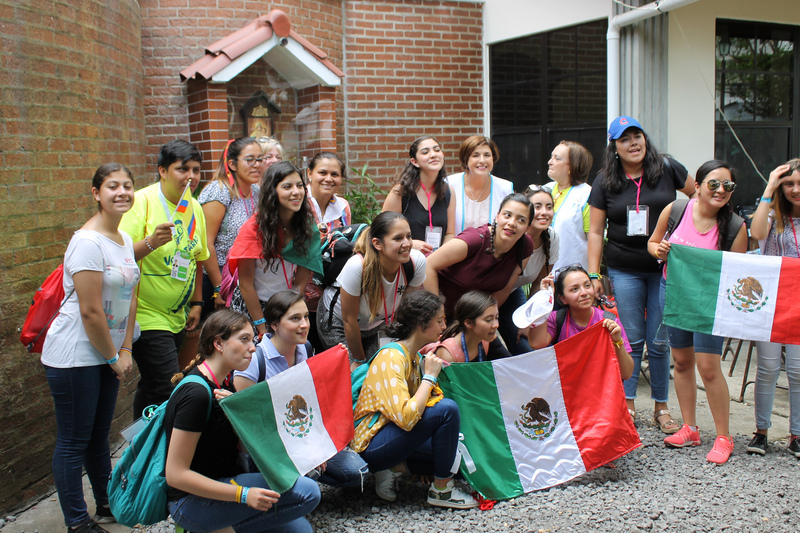 The first group to arrive was the Girls’ Youth from Mexico and they were also the first to take a photograph in front of the wayside shrine. 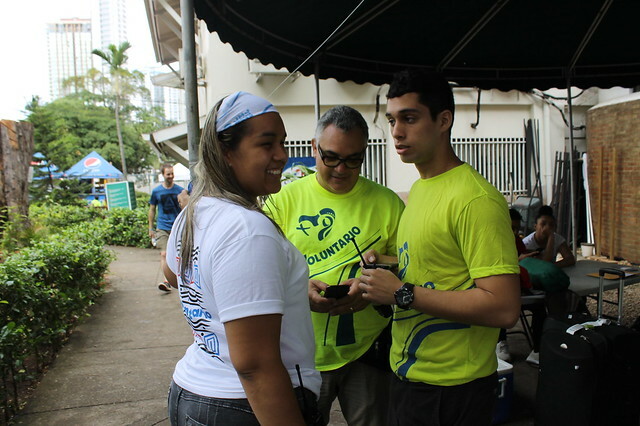 Members of the newly founded Schoenstatt Movement in Panama, wearing white t-shirts with the image of the Blessed Mother receive the pilgrims with the care and pride of being hosts. 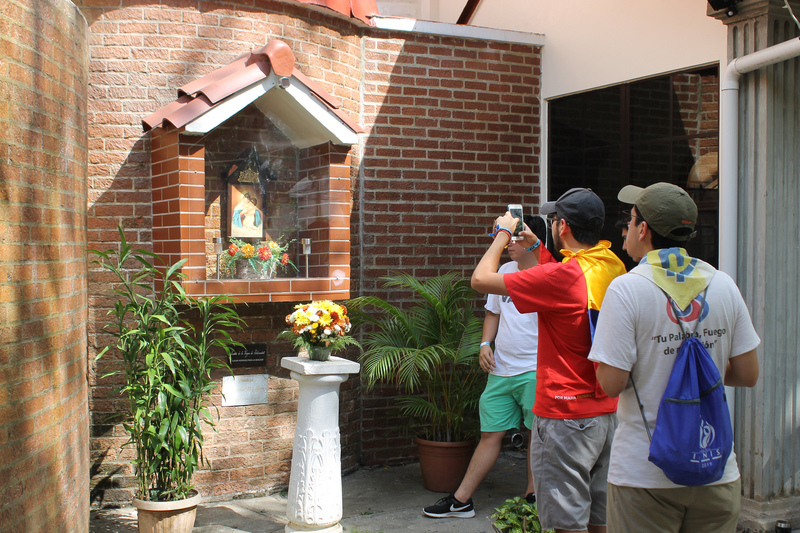 The large group from Ecuador, youth from Paraguay, the Boys’ Youth from Brazil who recently crowned the Queen of the Youth went on pilgrimage to the wayside shrine, took pictures, prayed, went into the Church – not just because it was air conditioned, but to encounter Jesus in the Blessed Sacrament in the beautiful adoration chapel. 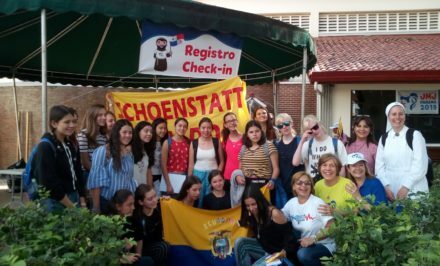 Group after group of Schoenstatters arrived on Monday, January 21 tired after 20 hours of travelling by bus from Costa Rica, but happy and eager to be Mary’s instruments at this World Youth Day, in the meetings, activities with the Pope, serving at the Spiritual Center at San Francisco de la Caleta parish and particularly at the Marian Festival on 23 January. 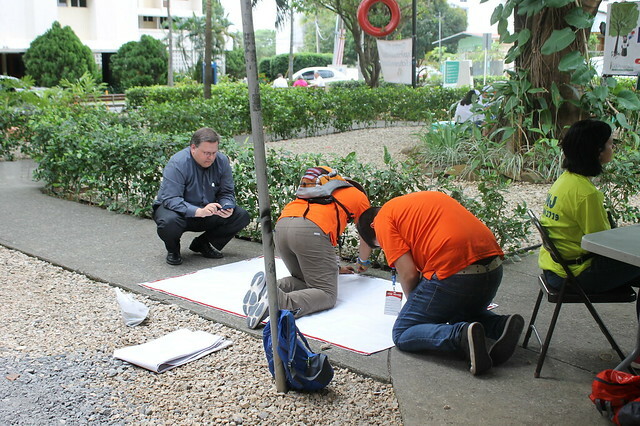 On the afternoon of 22 January, the university students from Austin (United States) together with Fr. 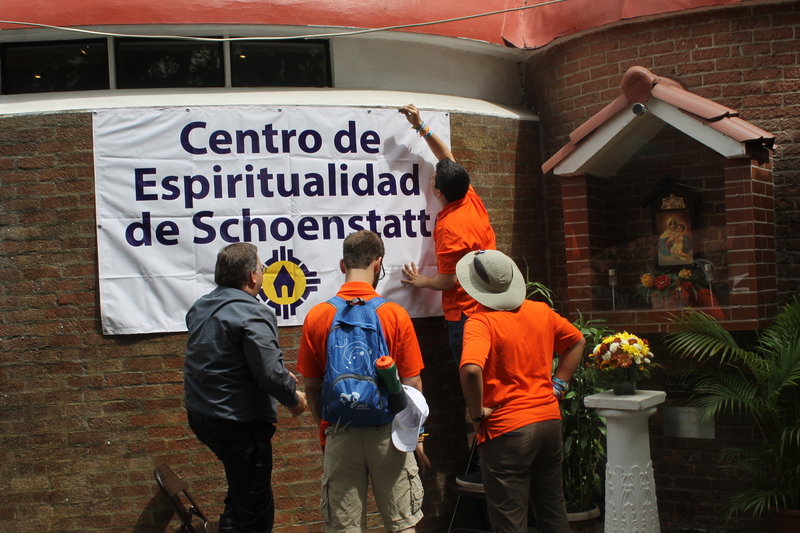 Jesús Ferrás, were putting up the posters for the Spiritual Centre. Even on the corner of the well-known Jimmy’s restaurant, several metres from the parish, there is a poster in English and Spanish advertising adoration…by following the arrow. 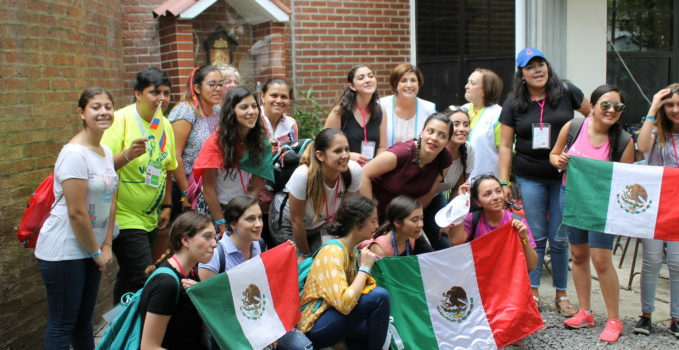 The youth, spiritual directors and not forgetting Schoenstatt.org, shared the invitation to come to the Spiritual Centre and the Marian Festival on social media and the WYD Press Centre. 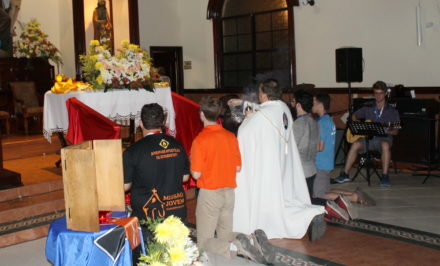 Meanwhile, one of the boys from the Paraguyan Boys’ Youth was standing on the corner in front of the parish with hisPilgrim Mother, when hundreds of young people from Australia passed by … an instrument of Mary at WYD. Those who worked night and day to lend a hand to the young pilgrims, always with a smile and making time to chat, listen, answer questions are also Mary’s instruments. The covenant of love is being felt during these days around the wayside shrine, covenant in the faces, the pilgrims, smiles, gestures of solidarity, missionary moments…and in this prayer and the nightime adoration that brings each day to a close, giving our successes and failures to the Blessed Mother and the Lord, that is, our contributions to the capital of grace that makes us Schoenstatters and transforms every place into a shrine.